Stealth Gen II incorporates dual angular contact bearings providing higher radial load capacities while maintaining high input speeds. Design enhancements also include full complement needle bearings allowing for increased service life and extended warranties. Internal design changes and optimized gearing geometries allow for one fill level for any orientation, resulting in shortened part number designation and simplified order placement. Universal mounting kits provide common mounting kits across multiple product lines to promote quicker deliveries and ease of mounting to any servo motor. 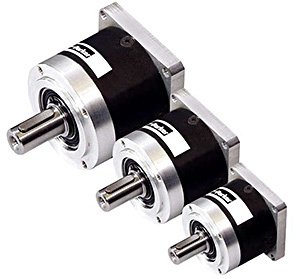 Applications that require either high precision (PS/RS Series Gearheads), mid-range precision (PX/RX Series Gearheads) or lower precision (PV Series Gearheads) utilize the same mounting kit part numbers within the same frame size. Mounting to any servo motor is as easy as A-B-C (adapter, bushing, collet). 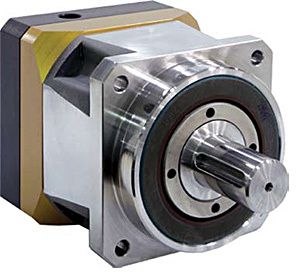 The Parker PTN planetary gearbox of the economy series was developed for applications, where an extremely low backlash is not required.